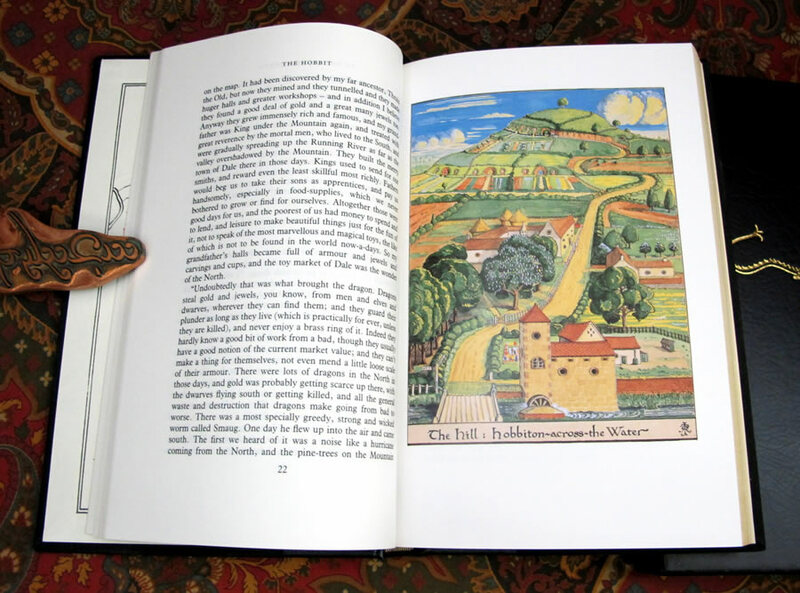 Harper Collins Publishers, believed to be the 2nd printing of the 1999 Deluxe Limited Edition, published in 2001. 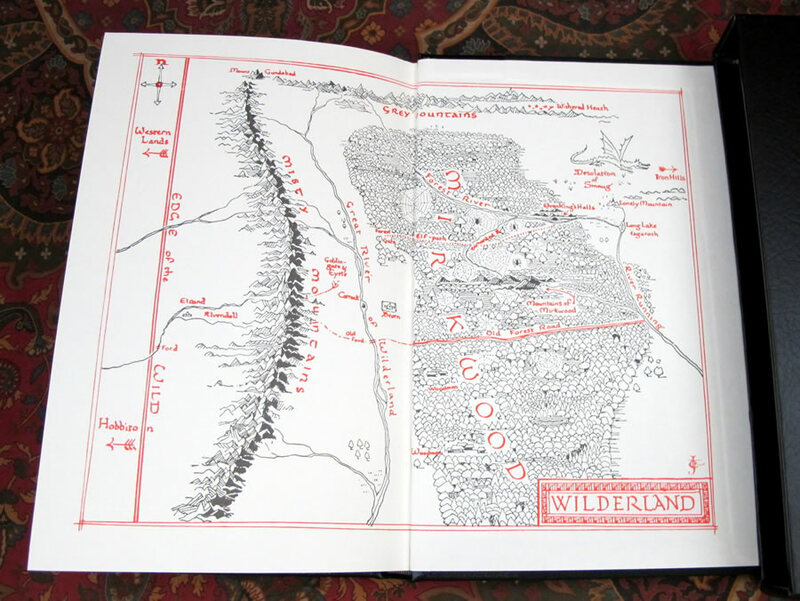 Limited to 1000 copies worldwide. 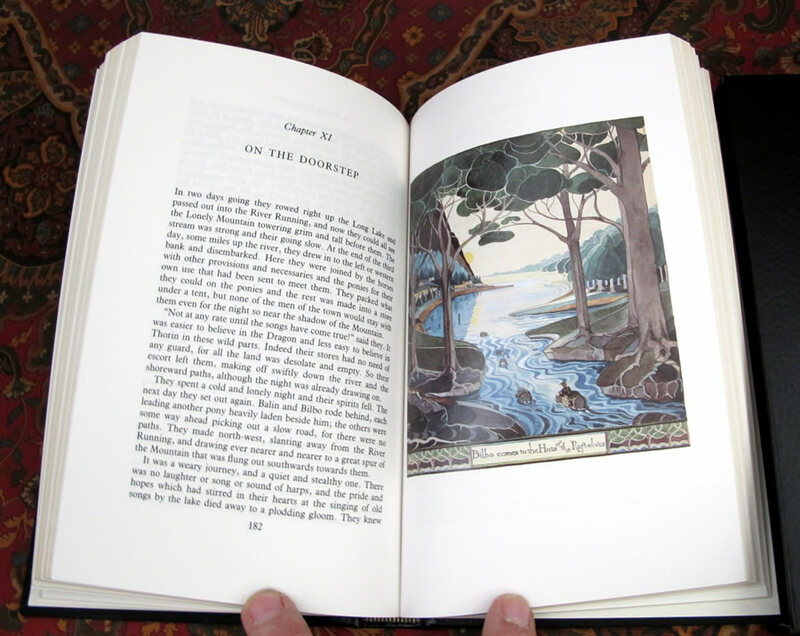 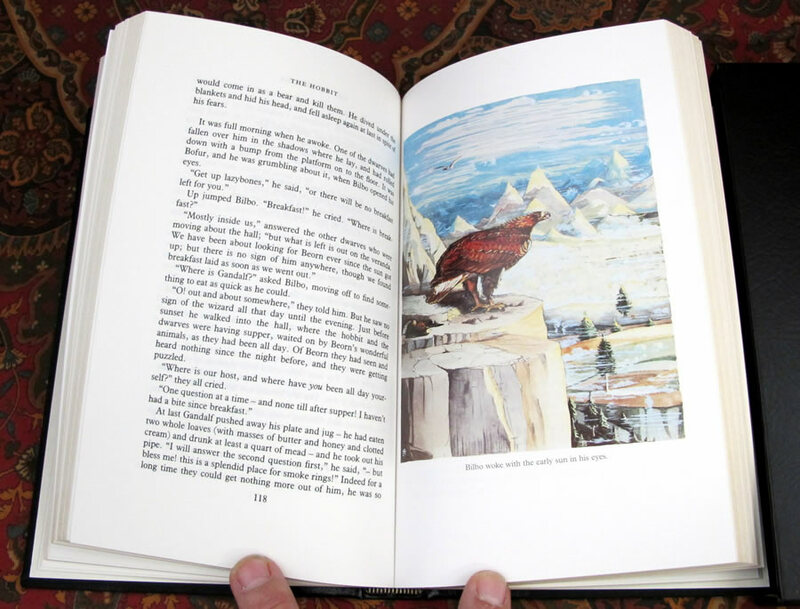 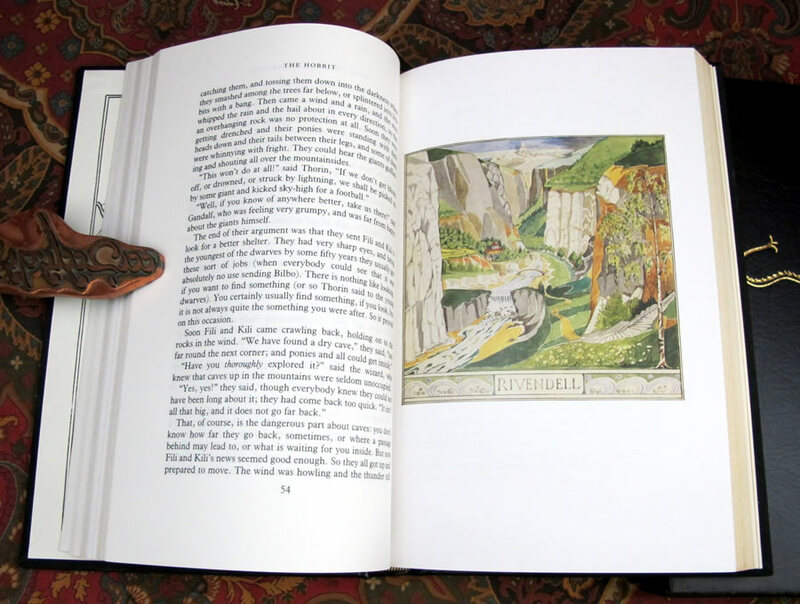 Contains all of the original color plates from the UK 2nd impression and US 1st printings as well as the original line drawings by Tolkien. 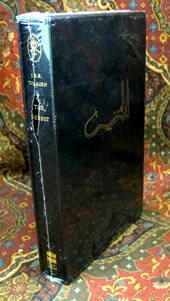 Quarter Bound in Black Leather with Gilt title, Author, Publisher and Tolkien Monogram to the spine. 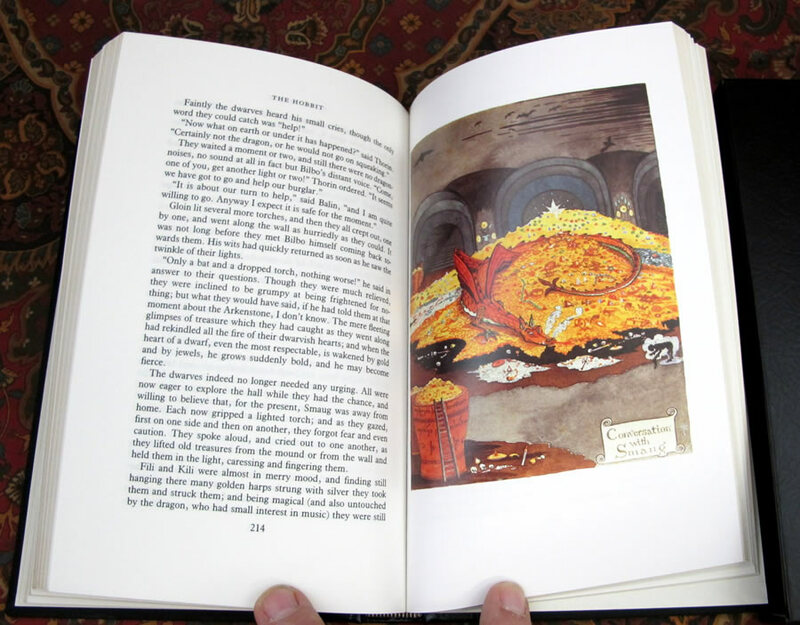 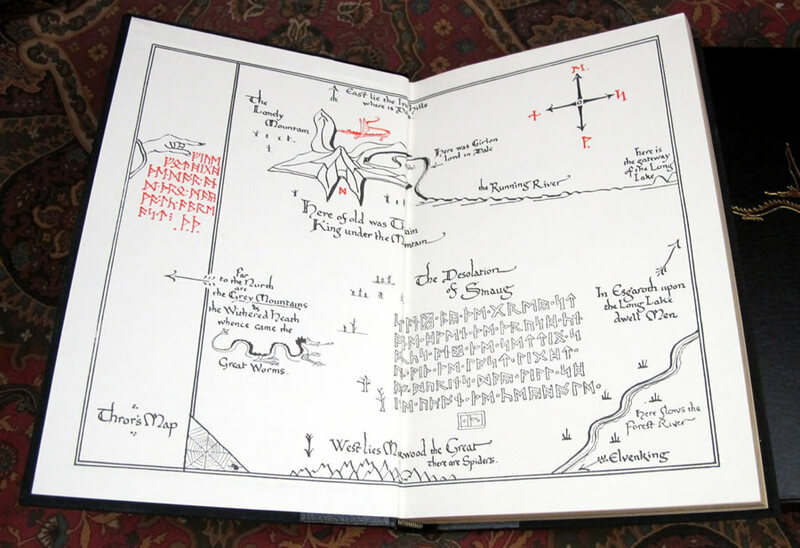 Housed in original publishers black faux leather slipcase with the Smaug design gilt stamped to the exterior, matching the gilt design on the book. 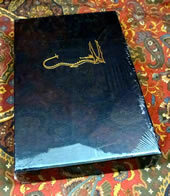 The slipcase also in Near Fine condition, only the slightest rubs to the bottom. 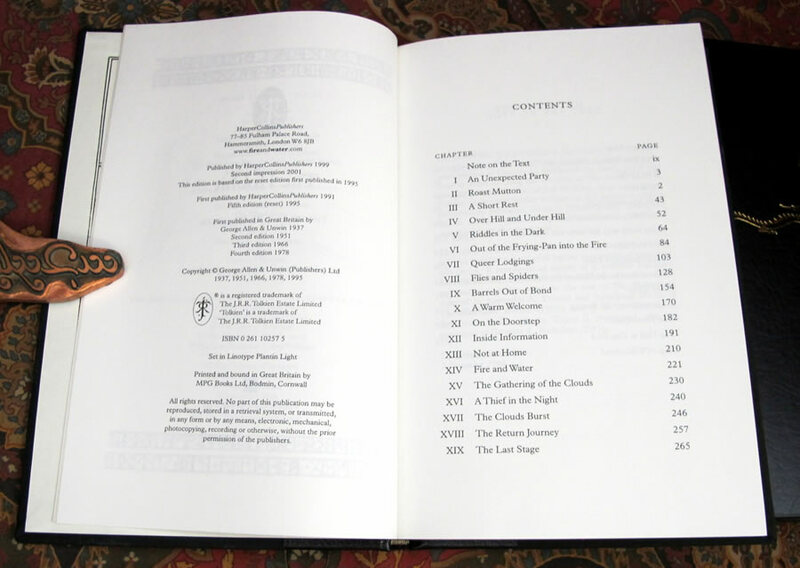 All edges of the text block gilded, no marks or rubs. 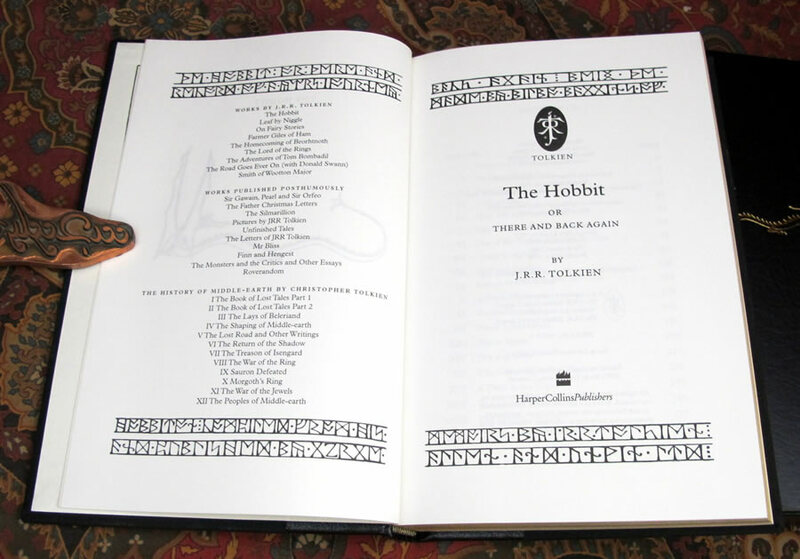 One of the few printed editions with the authors facsimile signature. 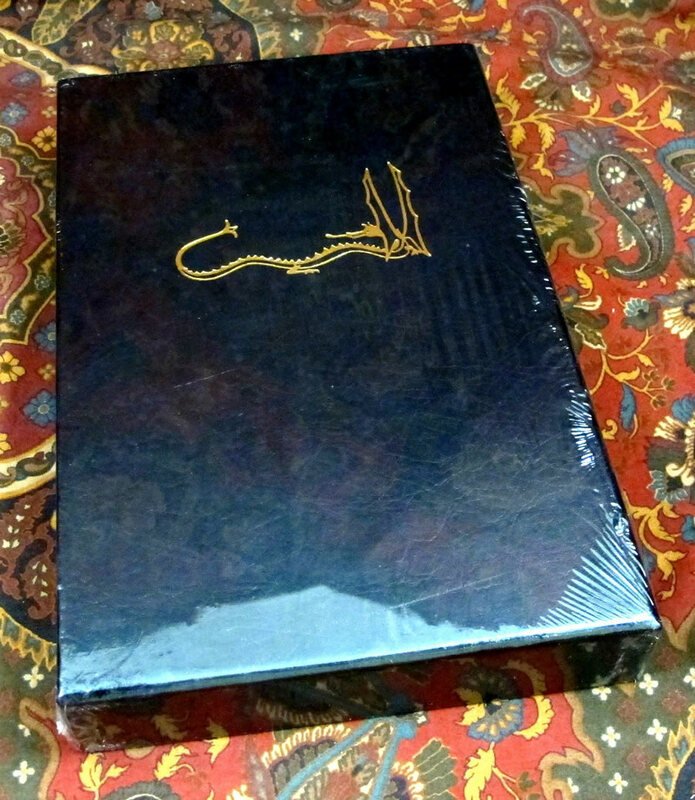 A beautiful example of the Limited Deluxe edition in Near Fine/Fine condition.